Sasha Banks posted a couple of cryptic tweets following her WrestleMania loss. This was noticed by her fans, but everyone soon paid attention once she pulled out of the Wendy Williams show. Banks cited “personal reasons” for canceling the Williams Show and they are reportedly furious about this as well. Now it looks like we might have an idea about what caused Sasha Banks to have such a problem. There are rumors circulating that there was a backstage incident at WrestleMania involving Sasha Banks. Ringside News is trying to confirm these rumors, but it is said that this occurred after her WWE Women’s Tag Team Title match loss. Sasha Banks was said to be very upset after this incident as well. Banks’ cryptic tweets actually fall in line with the afternoon before RAW. She posted a picture of herself at the RAW After WrestleMania asking if she would do anything differently if given the chance. It is very interesting how WWE sent Bayley out to the ring by herself this week on the RAW After WrestleMania to face Alexa Bliss in a very quick losing effort. Alexa Bliss took fire at Banks and Bayley on social media saying that they wasted their WrestleMania moment. Apparently, Banks and Bliss had enough of a situation that it caused The Boss to block Alexa on Twitter. 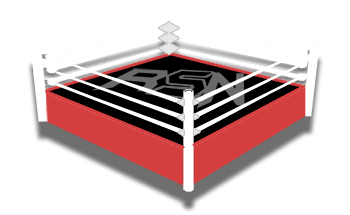 Keep checking back to Ringside News and we will keep you updated on anything as we hear it.